There are different types of term insurance products available in the market. 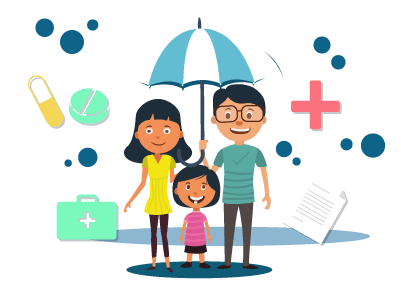 There are term insurance plans, endowment plans, ULIPs, money-back policies, retirement plans, child plans, etc., available for policyholders depending upon their specific requirements. These life insurance plans are offered by almost all the top insurance companies in the market. DHFL Pramerica, one of the up and coming life insurers in the country, has plenty of life insurance products in its lineup. Information about various products can be checked from the company’s official website. To make it easy for customers to understand the price of various products, the company also has premium calculators that calculate the cost of a policy based on various factors. The sheer number of term insurance products available in the market can be overwhelming for someone looking to buy life insurance. Hence, proper research is essential before choosing a specific product. In addition to features and benefits, most customers also look for the price of a product while making the purchase decision. Premium calculators help customers during this process. With the help of premium calculators, customers can know the exact cost of various products and they can plan their finances accordingly. On the homepage, you can find the list of plans offered by the company under the section ‘life insurance plans’. Here, choose the specific term insurance plan you wish to buy. On the plan page, you can find the button labelled ‘calculate premium’ on the menu bar right next to ‘eligibility criteria’. Alternatively, you can also find a section titled ‘how does this plan work?” on the plan page. Once you click on the ‘calculate premium’ button, you can open the premium calculator for the specific plan. On the premium calculator page, enter your personal details like name, gender, email ID, phone number, date of birth, sum assured amount, smoking habits, payment frequency, policy term, premium payment term, etc. After entering all these details, click on the button labelled ‘calculate’ to know the premium details. You can find the full illustration of premiums to be paid every year to get the desired level of coverage. If you are satisfied with the price and features of the term cover, you may proceed to buy the chosen policy. The main benefit of using a premium calculator is its ability to save time and effort for people looking to buy life insurance. Rather than checking with a branch office or waiting for a response from the company, customers can know the price of the chosen policy instantly. With the help of premium calculators, it is possible for customers to check the prices of multiple life insurance covers simultaneously. This will come in handy during their research process when comparing multiple policies available in the market. By narrowing down these policies based on price, customers can pick the right policy that meets their requirements. It is possible for customers to improve their product knowledge with the help of premium calculators. Customers can know the different factors that influence the price of a particular policy. This will help them in their decision-making process. Premium calculators serve as great market tools for companies. With these tools, companies can appeal only to interested customers and collect their personal information. Once they have this information, they can appeal to their specific needs and promote their products in a more effective manner. Most of the premium calculators offered by insurers are extremely useful when it comes to simplifying the complex algorithm used in premium calculations. Since premium charges are based on various factors, they vary from one person to another. Premium calculators provide customised results based on the personal details entered by interested individuals. Based on the information obtained from these calculators, customers can take a solid purchase decision and invest in protection plans that could benefit their families.